This salad makes for a tangy and refreshing first course or light lunch. The spicy arugula is balanced by the creamy feta. Combine dijon mustard and lemon juice in small bowl. Whisk in olive oil slowly to emulsify. Add salt and pepper to taste. 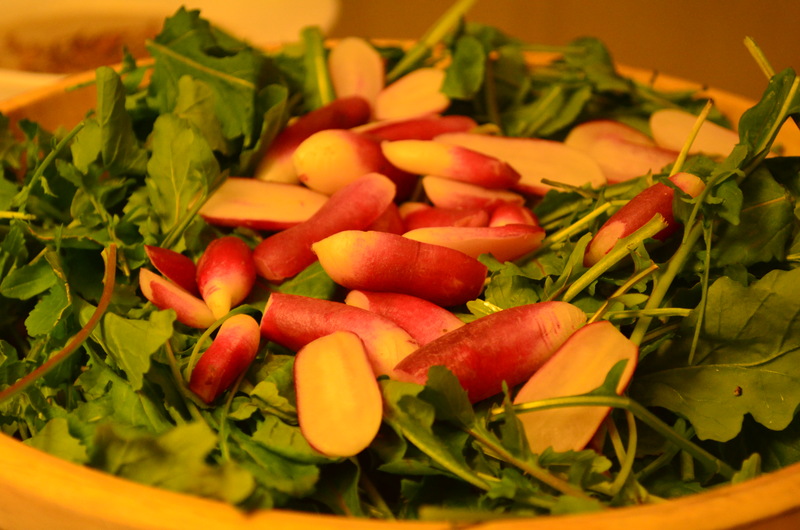 Toss arugula and radishes in vinaigrette. Top with crumbled feta.